Home » Random thoughts » To Review "Max Steel" or Not to Review 'Max Steel" THAT is the Question?! 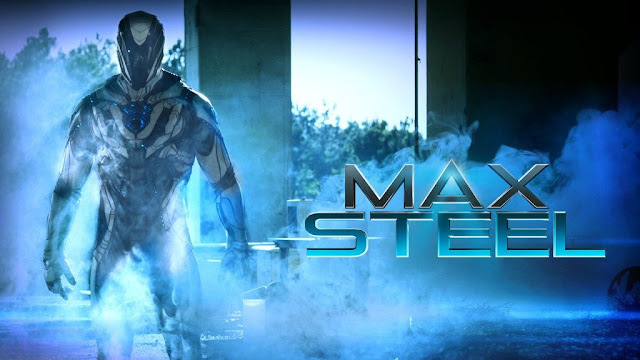 To Review "Max Steel" or Not to Review 'Max Steel" THAT is the Question?! As I sit in bed - trying to sleep and finding my insomnia is getting the better of me - I am fully aware of a major movie that opened in theaters this weekend with a mighty thud. That movie is "Max Steel," an oft-delayed movie that was once a vehicle for Taylor Lautner hit over 2,000 screens this weekend, grossed a mere $2 million dollars, and opened outside of the top ten box office movies. The film was not screened for critics and that includes me. There is no future in this franchise starting hopeful. The movie will be out of theaters within two weeks. This is a box office so low we'll be lucky if the studio even presses a DVD or BluRay of the darn thing. This is almost as bad as when "Jem and the Holograms" was released to empty theaters last year. Like that film I should just move on and count my blessings that I wasn't made part of this money making experiment. I mean, that's what movies like these are really: consumer products. Some of them sell and some of them fail. That is the nature of business. Considering artistic thought was as far away from this project as possible throughout the entire process, I should (again) count my blessings and be glad that time wasn't wasted. And yet... I feel a little cheated somehow. This is the first major motion picture that has been withheld from critics in a long time. Even the aforementioned 'Jem' was screened for us, and we went to the movie, watched it, took our notes, and spent valuable time on a review that we knew wouldn't make a difference. I mean, yeah, no one (thankfully) saw the thing, but I believe that had more to do with a lack of interest in the movie in general than because of poor reviews. I have no doubt the situation is the same for "Max Steel." So why do I feel cheated that I wasn't given a shot at reviewing this movie? Why do I feel like I had a right to see this movie and give it my two cents? It's not because I'm vein or anything, it's just... it feels like a coward move from a studio. The movie is not a critical darling by any measure. The critics who did go out of their way to see the movie were largely indifferent to it. I have to admit something though: I LOVE it when a terrible movie gets a critical thrashing and fails on a financial level! I also LOVE seeing a great movie get critical praise and box office to boot (throw in a couple Oscars and you've got yourself a nice little party there). "Max Steel" was always likely going to fail in a big way. Whether the critics got a hold of it or not is besides the point. By not screening it for critics though feels like a cop out. Not advertising it feels like a dirty secret. In short, it feels like the studio gave up before the game even began, and there is something deeply unsatisfying about that. So should I go out of my way to see and review "Max Steel?" I feel like I should, but I also feel like doing so would be the equivalent of being a cyber bully, picking on a kid who has no interest in defending himself.